Metal casing. Standalone or wall mount. 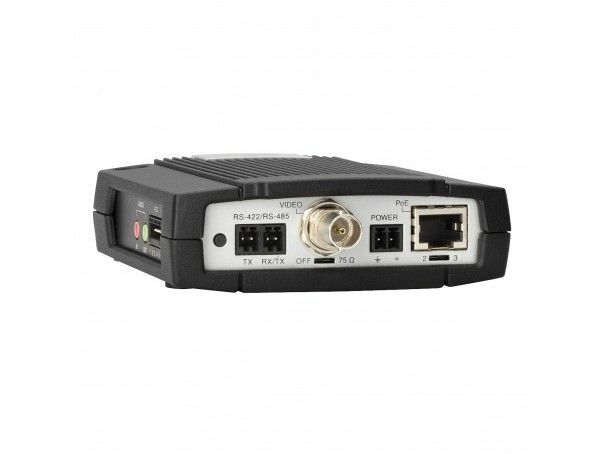 1 channel video encoder. Multiple, individually configurable H.264 and Motion JPEG streams; max. D1 resolution at 30/25 fps. Video motion detection. Active tampering alarm. Two-way audio and audio detection. 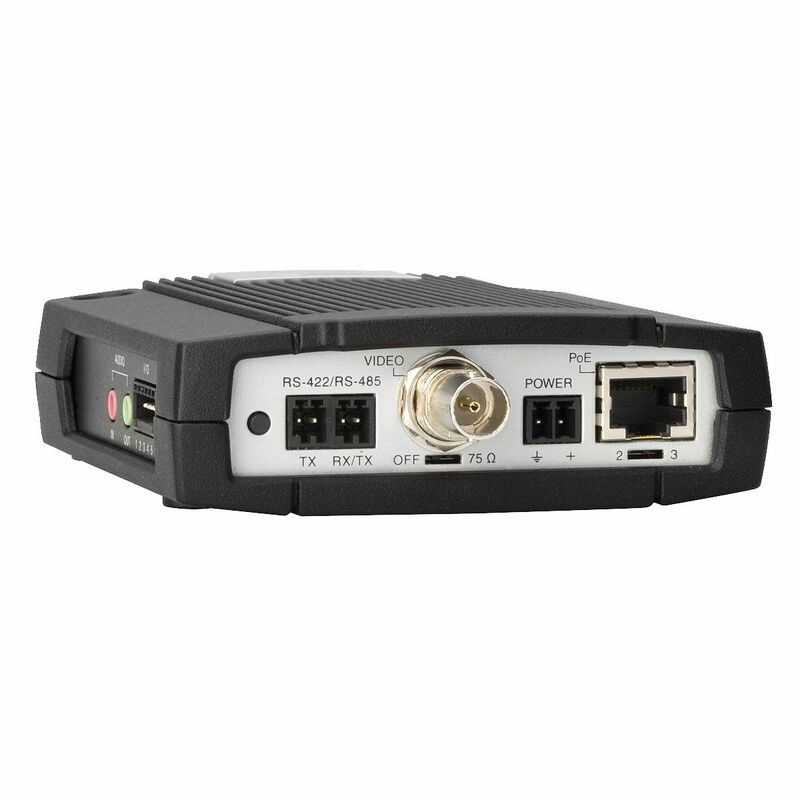 Power over Ethernet (IEEE 802.3af) with power out for the analog camera. SD/SDHC memory card slot for local storage.. Includes power supply.